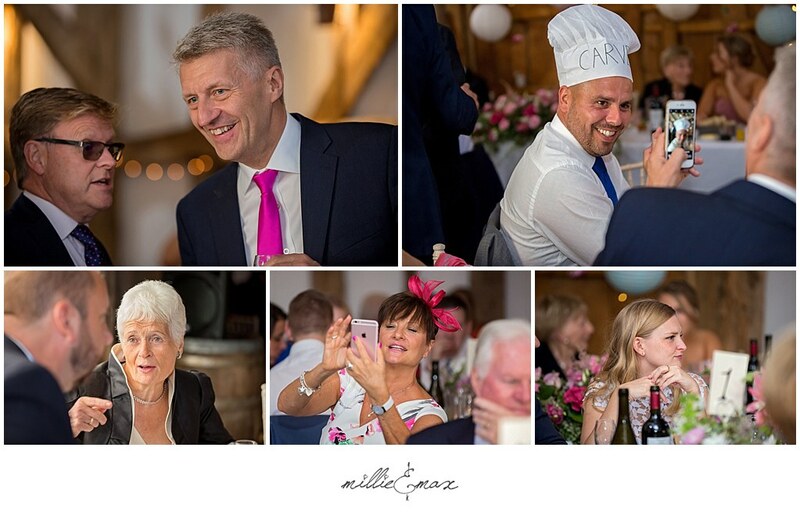 I had been looking forward to this wedding for over 18 months after meeting Nikki & Rob while photographing Rob’s birthday. 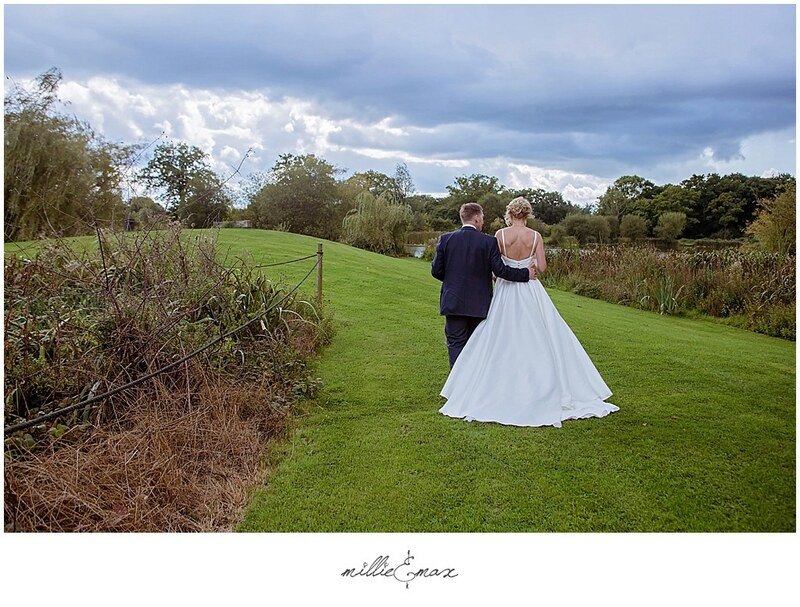 Back then they had no set date or plans (not even for a Barn wedding reception) and I was honoured when they asked me to photograph their big day. 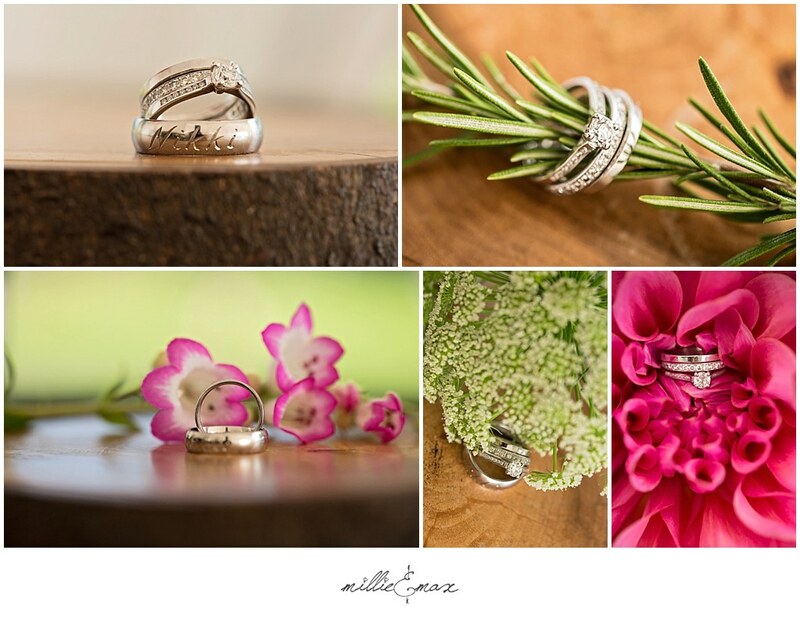 The time flew past and it didn’t feel long before Nikki & I got together again to chat about the final details and all of the exciting things they had planned. 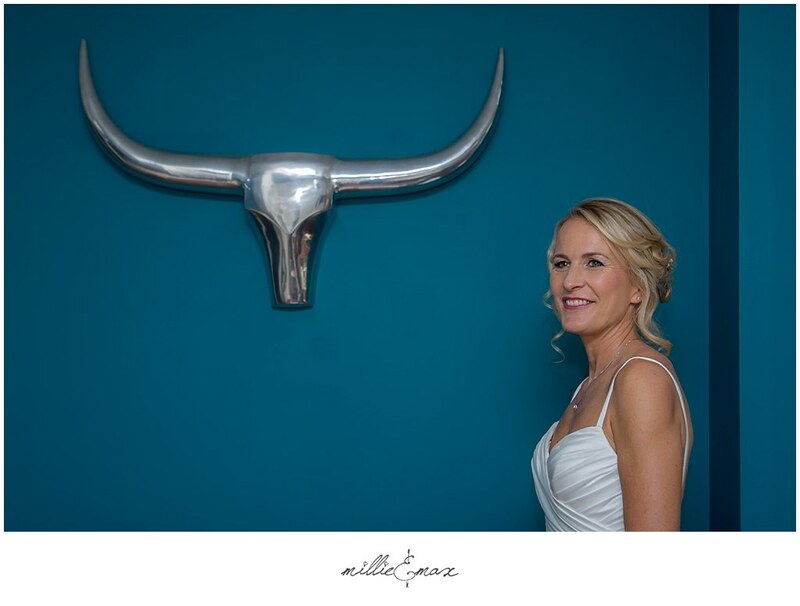 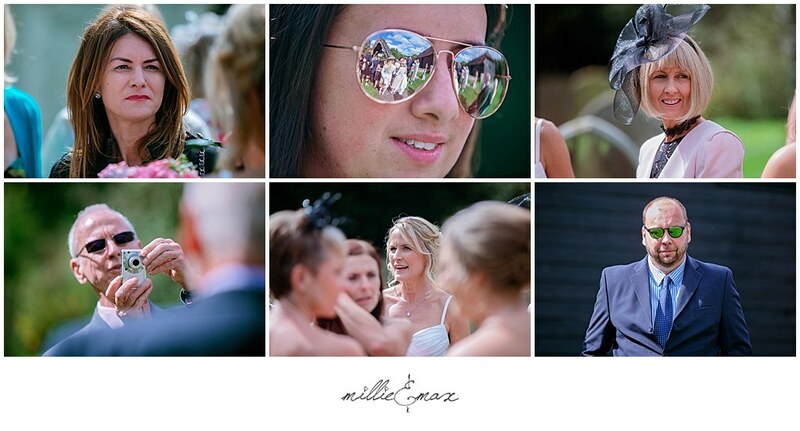 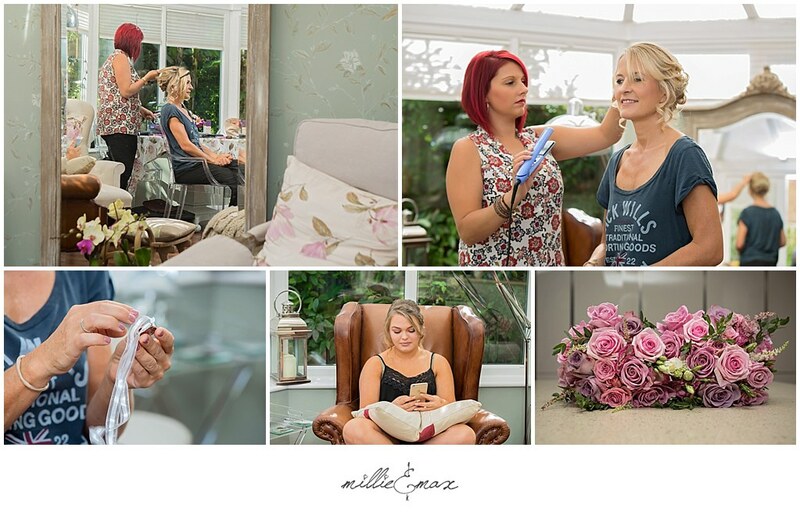 Nikki’s bridal preparations took place at her sisters in Brockham where the girls were all relaxing having hair and makeup done complimented with glasses of bubbly. 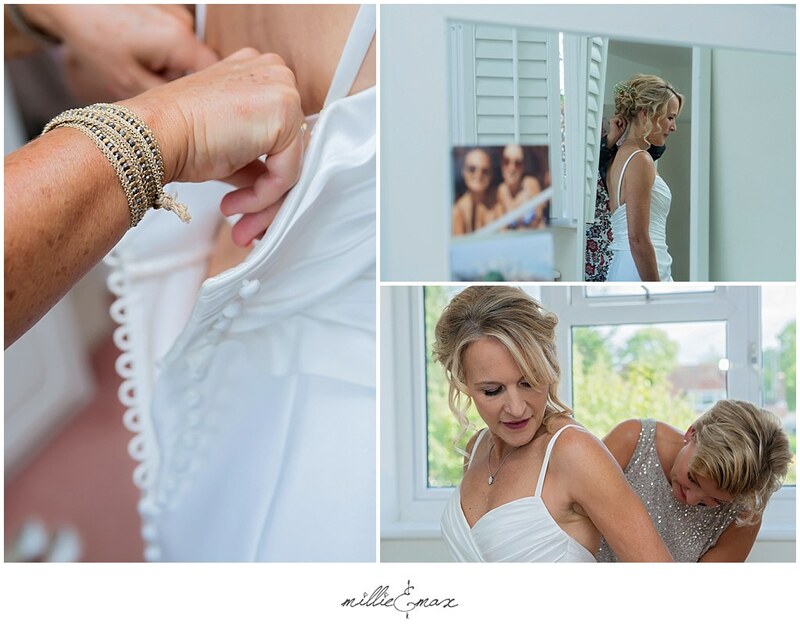 Her dress was simple and elegant, which Nikki had it personalised with changeable diamante straps & a beautiful detachable train. 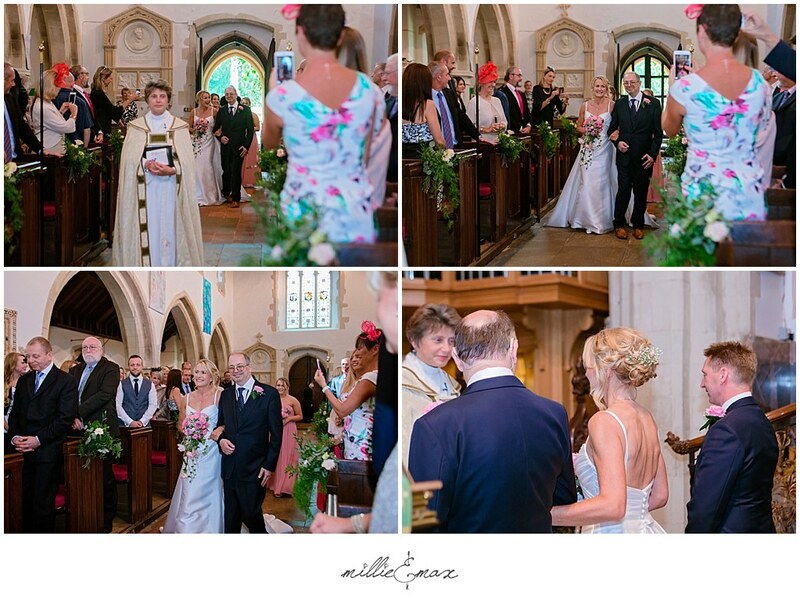 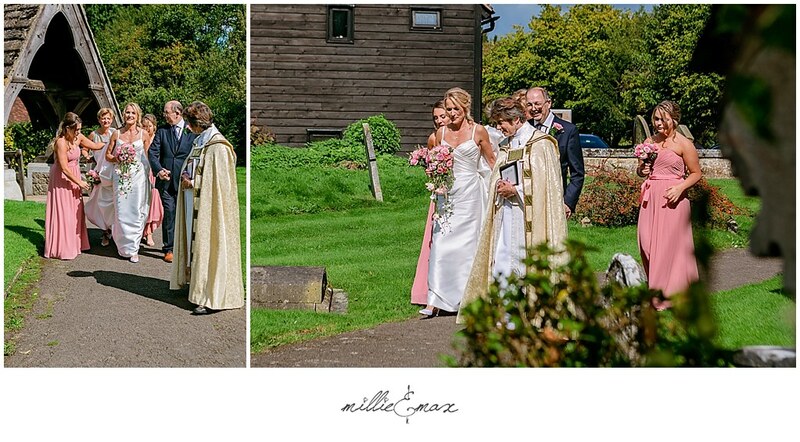 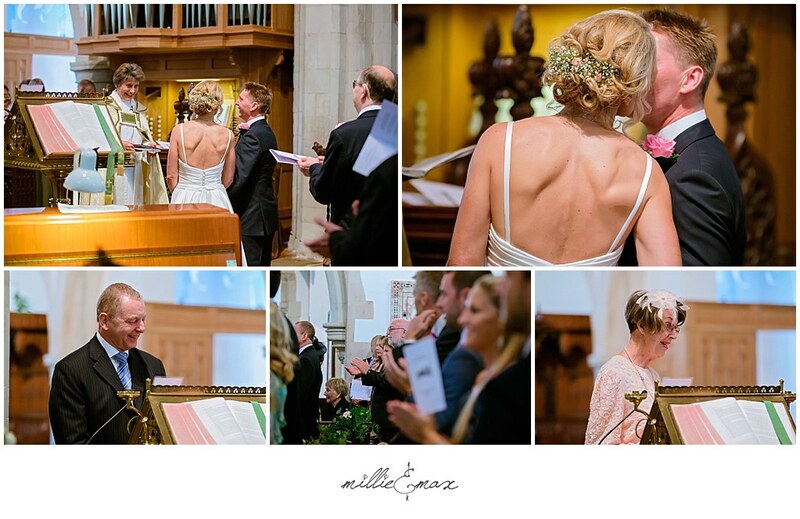 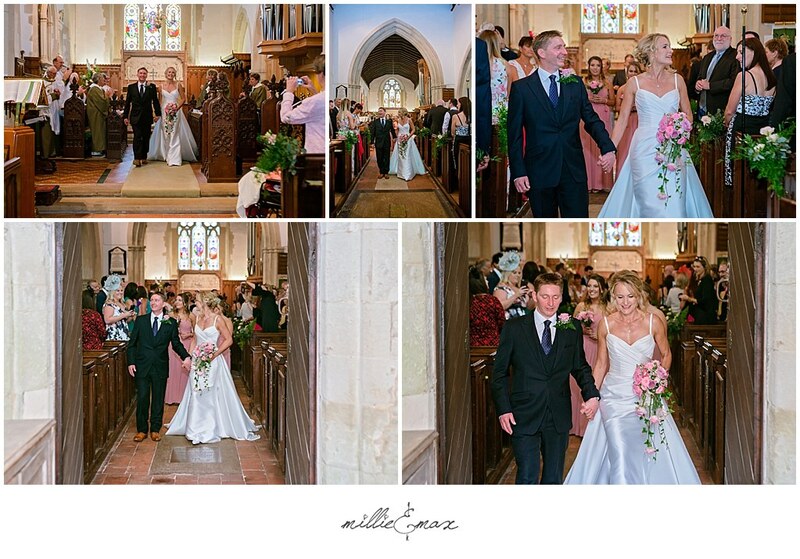 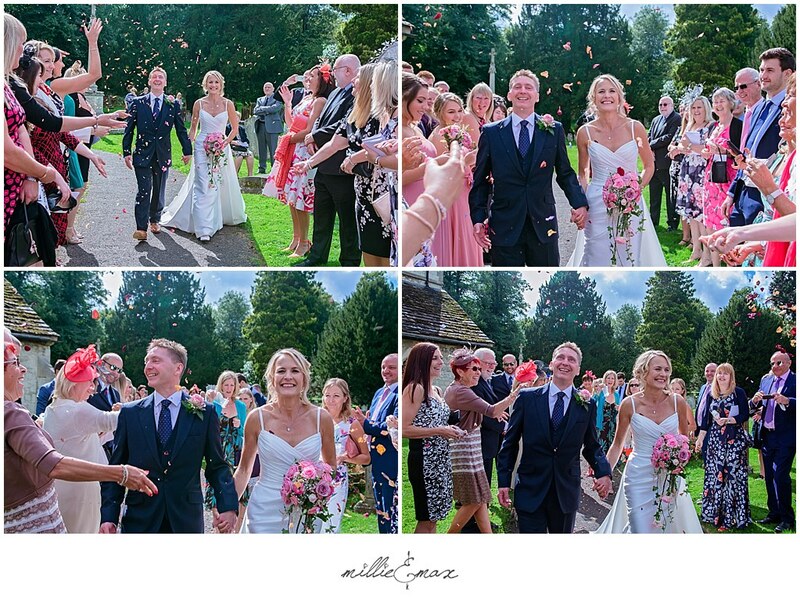 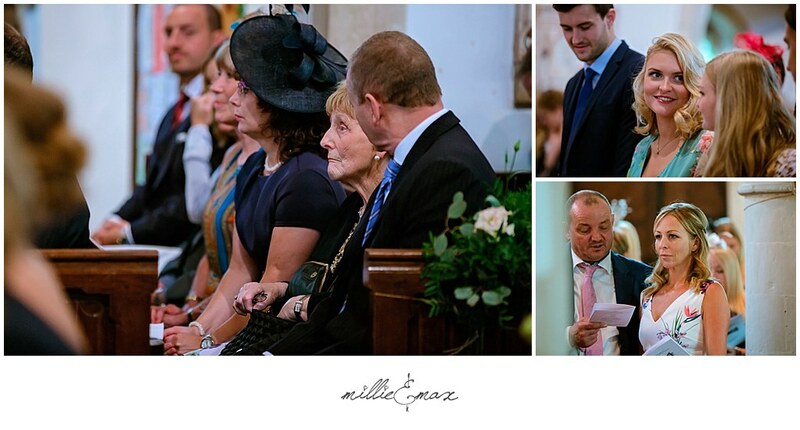 It wasn’t long before we headed to St Michaels Church in Betchworth which was about 10 minutes away for a wonderful wedding ceremony. 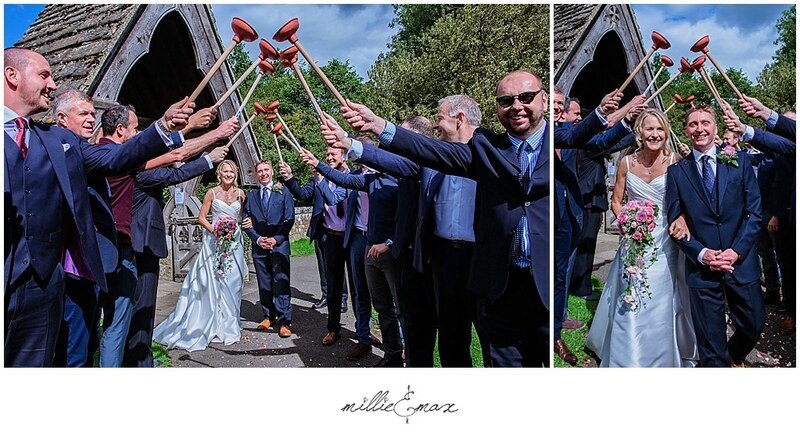 After the service some of the group photos took place before the confetti was thrown & a very comical surprise guard of honour took place with plungers! 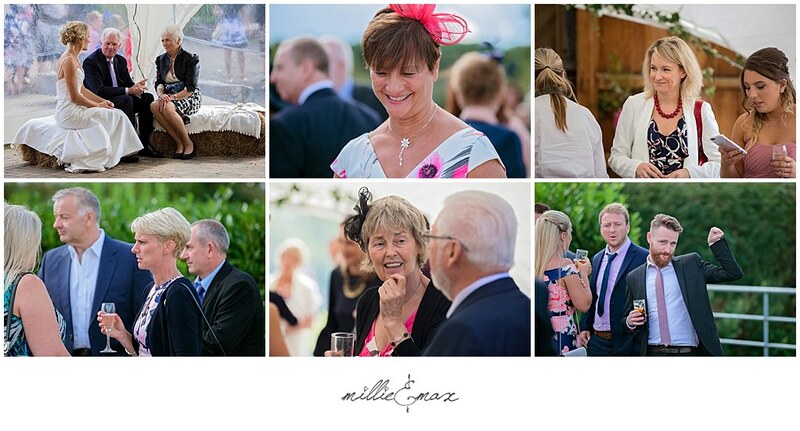 The guests departed leaving us to do some couple photos before we joined them at Old Greens Barn, Newdigate for the reception. 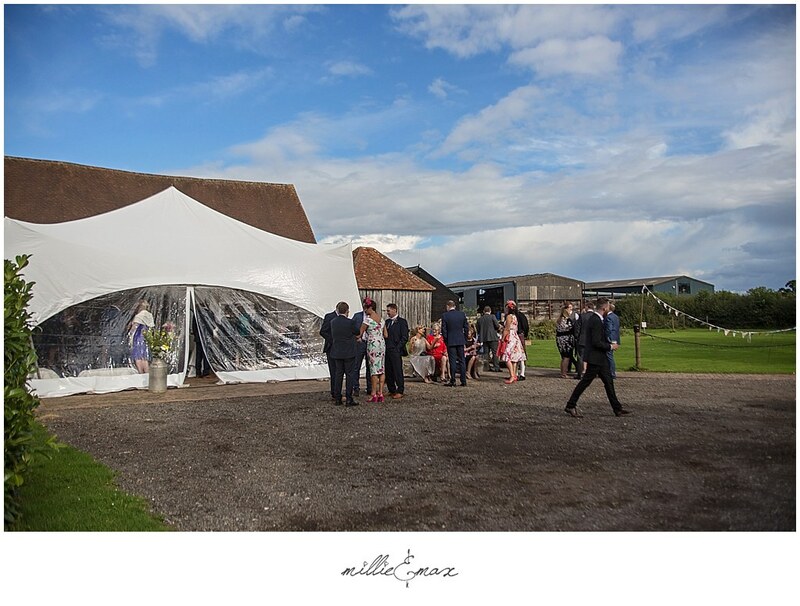 After having couple photos on the grounds, there was a celebration drinks reception until 3.00pm when guests were called to be seated. 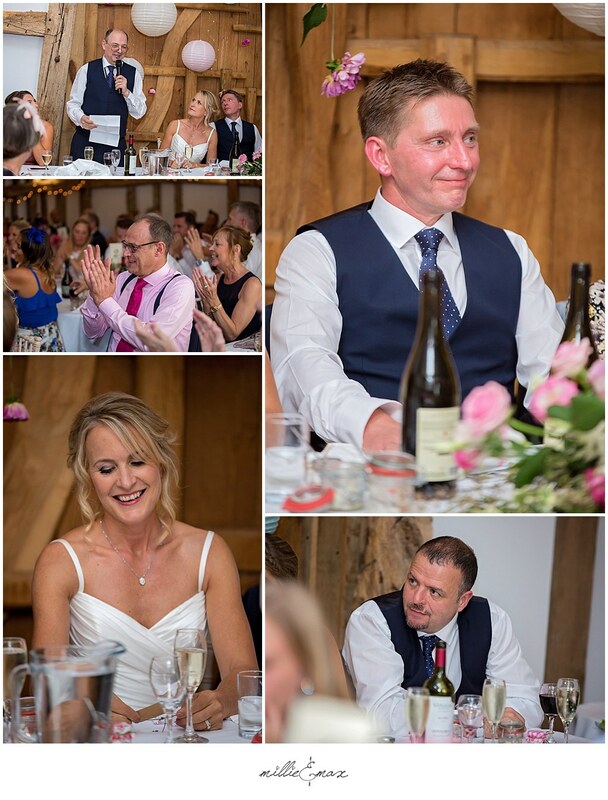 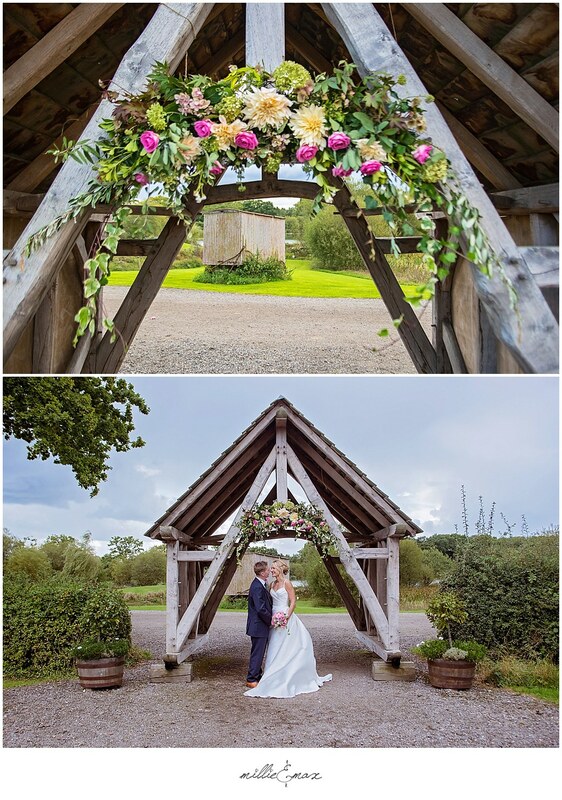 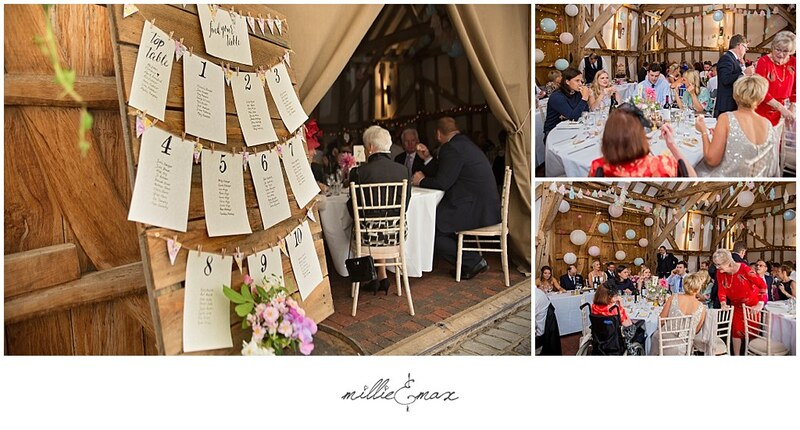 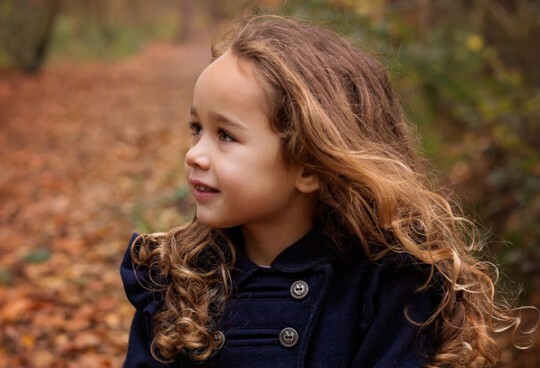 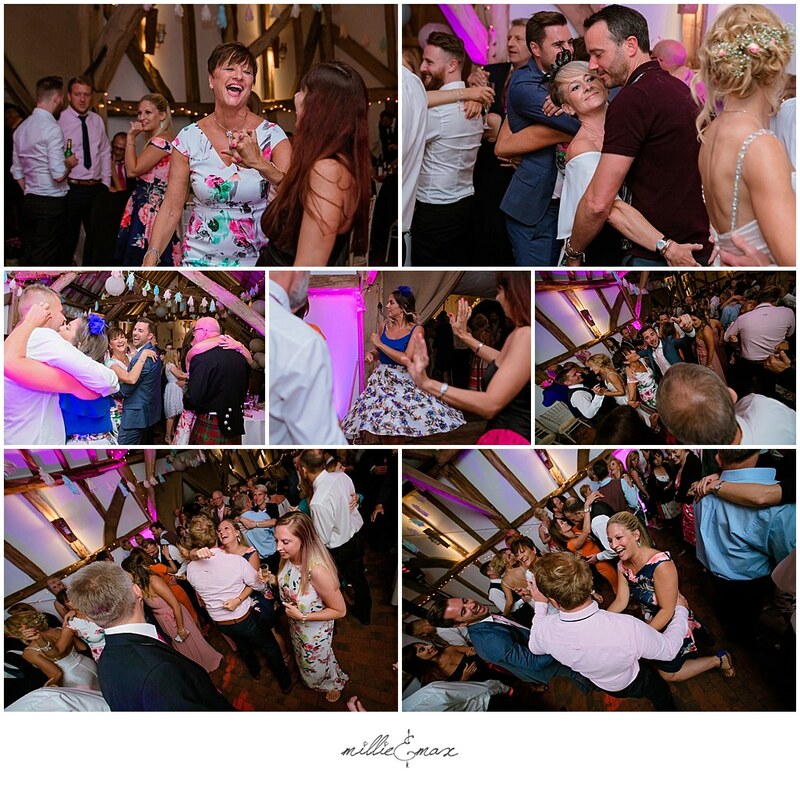 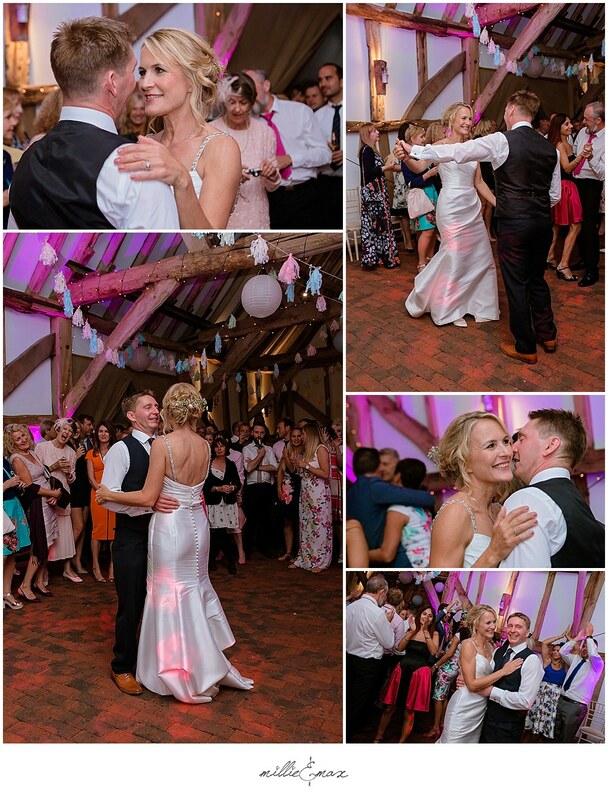 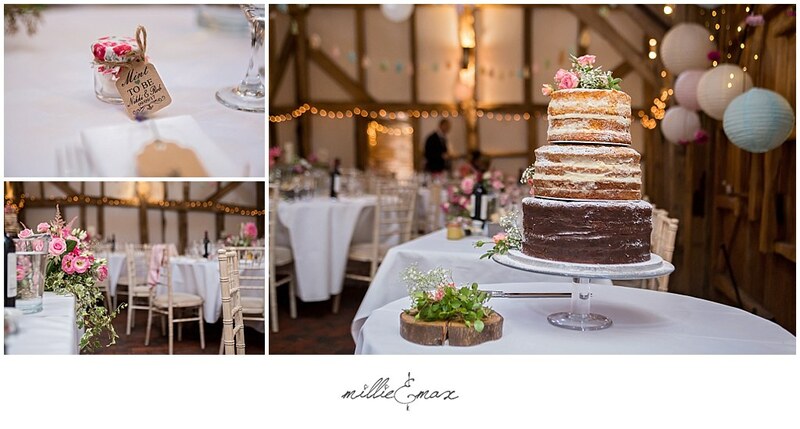 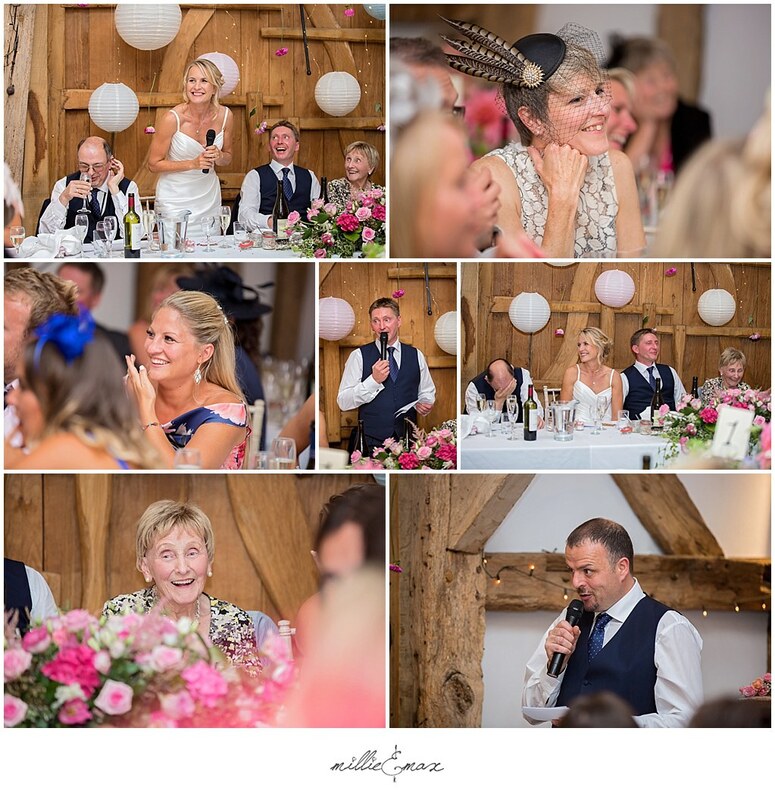 The Barn had been decorated beautifully the day before by Nikki and her close friends & family with bunting, paper lanterns, fairy lights and fresh flowers cut from her sisters garden. 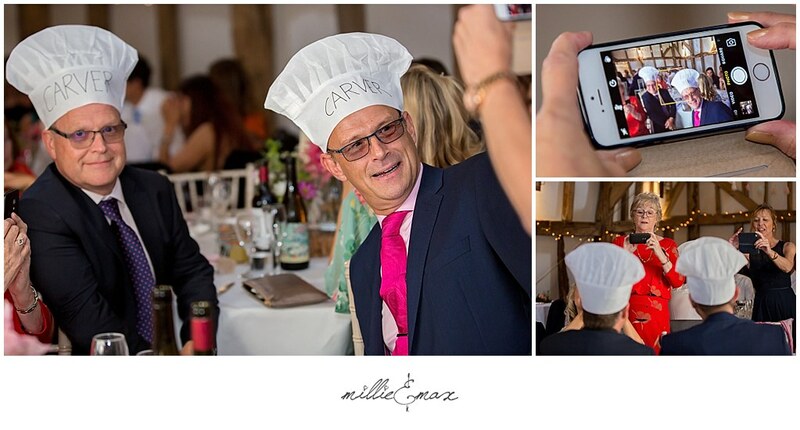 As the food was roast platters, there was a chefs hat placed at the allocated Carvers place setting which went down a treat. 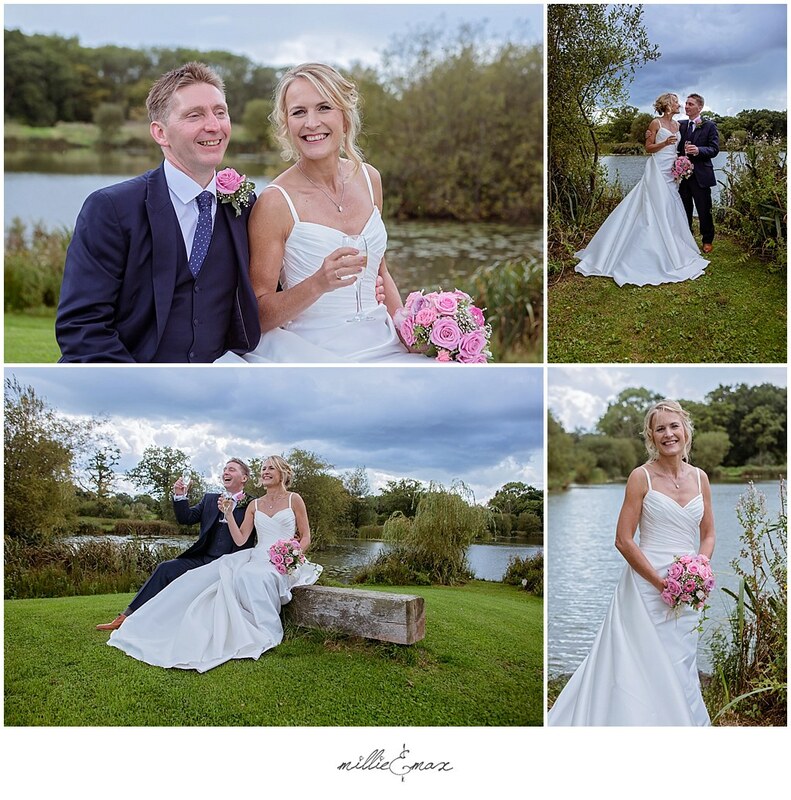 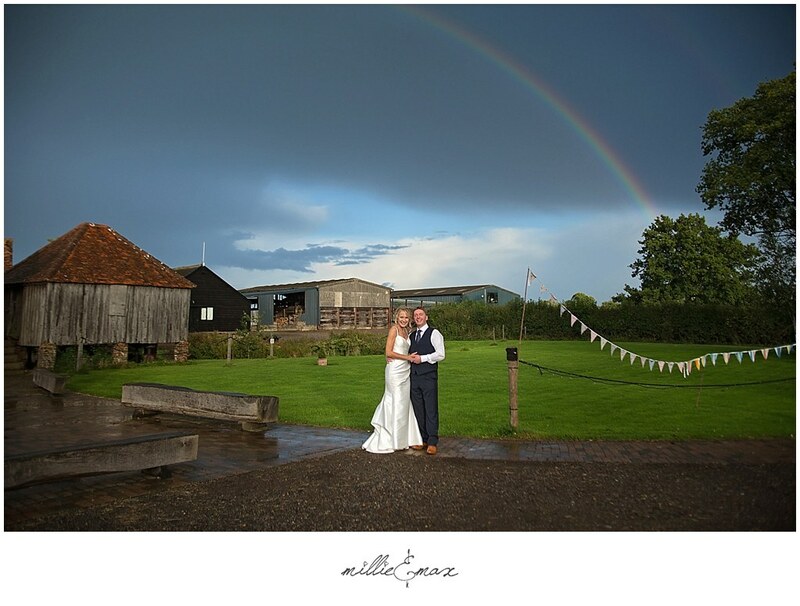 During the meal and speeches, the heavens opened which was perfect timing as a rainbow came out & we managed to get a few photos! 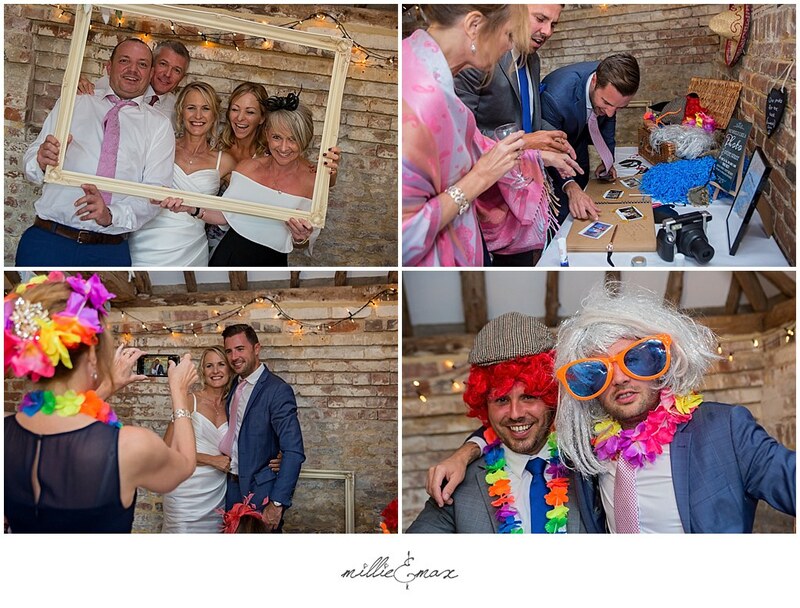 Their guests enjoyed a self made photobooth located in the side room of the barn, there was a wide range of props that Nikki & Rob bought and they hired our Instax camera so guests could dress up and take instant photos for the guest book! 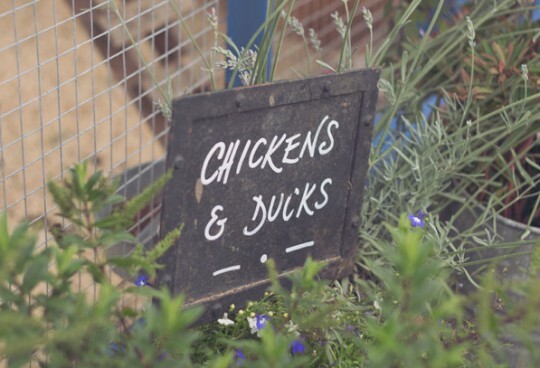 Brilliant idea!!! 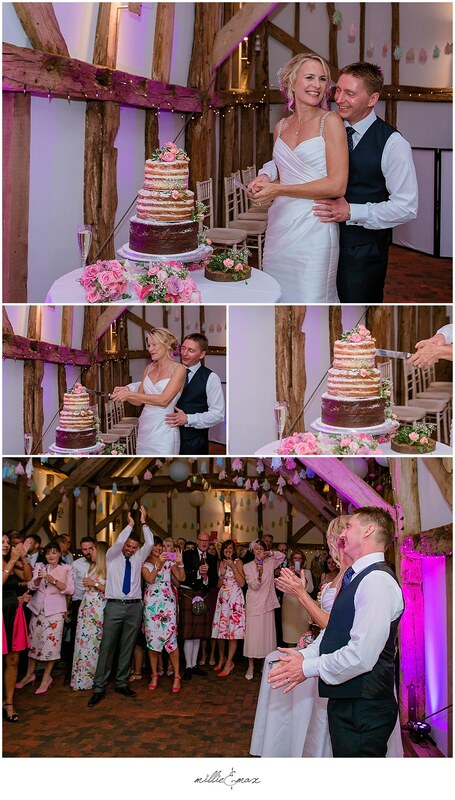 The evening kicked off at 7.00pm with the arrival of evening guests so they got the chance to witness the cutting of the cake & the first dance before Nikki & Rob got to party the night away.